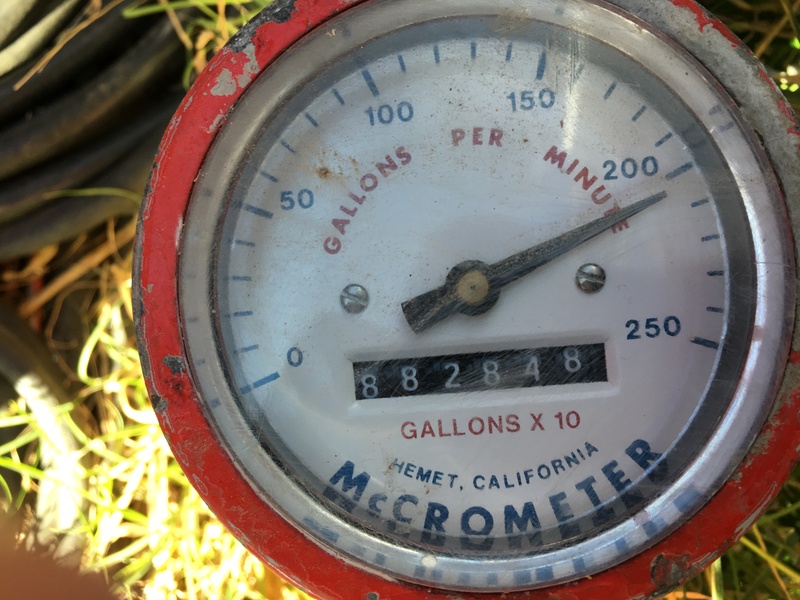 30+ Million Gallons, One Project, Read the meter | Save Palo Alto's Groundwater! ← Storm Water Management Fund – Action Needed! Last year the City told us that they estimated 8- 10 million gallons of water were pumped out per basement construction. The news is three times worse! This year, for the first time ever, City regulations require that the water pumped out be metered. The first dewatering of the season stopped today with a final reading of 30.58 million gallons of water dumped into our storm drain system. In this photo from June 2016 the meter has already wrapped around twice at 10,000,000 gallons per lap, and is on its 3rd lap for a total of 28.88 million gallons. The pumping rate is just over 200 gallons per minute. The meter measures the water pumped from the ground for the construction of the basement for a single family residence. This location stopped this morning (June 28) after pumping for 80 days (after subtracting the 1 week period in which they didn’t pump). Regulations require that a fine of $500/day be assessed for dewatering over 10 weeks duration but the last we heard, the City was still considering whether they should be fined or not. Please do keep emailing City Council with your comments and concerns. The City does listen if enough residents show they care about an issue. Thank you for your support and advocacy.